Big changes for the new PA46: What’s the verdict? Since its introduction more than 30 years ago, Piper’s PA-46 Malibu has undergone a series of significant performance enhancements, while its cabin, often less noticed, has seen corresponding makeovers of its own. It’s more than coincidence that several manufacturers seem to hit upon the same good idea at the same time. If you believe what more and more folks in the travel business are saying these days, we’re headed for a pilot shortage—or perhaps we’re already in one. 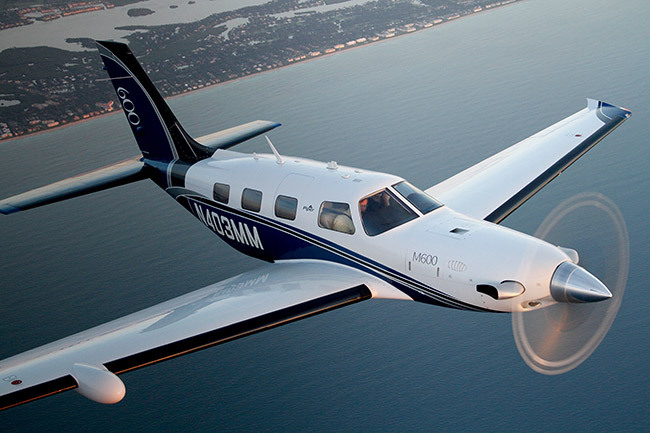 No one makes it easier for a pilot to step up to a turboprop than Piper Aircraft. Scott County Airport (SCX) in Oneida, Tenn., was readying for its ninth annual autumn air show, and vendor trucks and booths were starting to fill the perimeter of the ramp. Learning to fly is, in many respects, simpler than it’s ever been. There are few aircraft type organizations in general aviation more enthusiastic than the Short Wing Piper Club. That’s, perhaps, ironic in view of the inexpensive prices of most short-wing Pipers. The compact, little two- to four-seaters are among the cheapest entry-level airplanes available. Many sell for less than $25,000, especially the minimalist Vagabond, Clipper and Colt. As the last of the non-Cub Piper taildraggers, the Pacer enjoys a similar price advantage. Even the last of the Pacers, the 1954 model, sells today (in stock configuration) for well under $20,000. The PA20 was introduced in 1950 as a follow-on to the Piper Clipper after Pan American World Airways claimed it owned the name “Clipper” (apparently ignoring the fact that hundreds of sailing ships in the 19th century were called “clippers”). Approximately two years after unveiling its much-anticipated PiperJet, Piper Aircraft recently gave members of the media, Piper dealers and prospective owners a firsthand look at the jet. Piper’s unveiling consisted of both a ground viewing and aerial demonstration over the Vero Beach, Fla., factory. With more than 200 visitors on hand, Piper provided many new details on the jet’s performance, design and certification status. Line up on centerline and hold the brakes. Take a deep breath and focus. Things are going to start happening fast. Slide the power lever forward with your right hand to max takeoff power, 1,313 foot-pounds of torque. Listen as the turbine winds from a low-pitched whine into a throaty howl. The airplane absorbs the force of the four-bladed Hartzell prop biting into the air, compresses the nose strut and pitches down a little. Marathon Key gleams in the late-afternoon sunshine. It’s like an emerald in Florida’s highway of island pearls, which dot Route 1 from Miami to Key West. Marshmallow cumulus graze on the rainbow of color beneath us. The Caribbean waters translate from jade and lime green to a myriad of blues—sapphire near the land to azure offshore to indigo and navy in the deep. 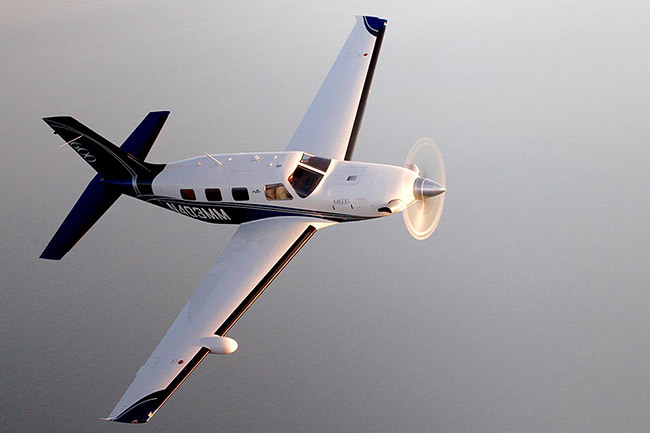 Just as the Mooney 201 rescued its namesake company from oblivion in 1976, in the mid ’80s, the Malibu offered Piper Aircraft the only light at the end of the tunnel that wasn’t a train. After the whirlwind uphill ride of the ’70s, general aviation sales were tumbling all across the board, but the Malibu was an instant success. Ah yes, the first novel. It’s every writer’s dream to someday pen a novel. No matter what their medium—motion pictures, television shows, advertising, technical manuals or even magazines—nearly all who wield pens for their daily bread, and even some who don’t, aspire to author the next great American novel, to create their own characters, their own stories, even their own worlds. When you’ve been around the coolest airplanes in the world, which one would you choose for yourself? Suppose you know a guy who’s a graduate of the Lockheed Skunk Works. I’m sure you have one of these guys at your local airport. One of those guys who spent most of his life building the world’s fastest, highest-flying, nearly invisible airplanes. The kind of guy who built extreme airplanes— airplanes that nowadays are famous, but during their operational life, he couldn’t even brag to his wife about. One of those “If I told you, I’d have to kill you.